I take pride in my family, upbringing and religion (Hinduism) which never discouraged from visiting other places of worship. That flexibility in values got into me to believe there is only one supernatural god (who created the earth, living beings). Hence I refuse to accept him in different forms, features, signs, idols, books etc. My family visits and prays inside all places of worship. Hence a trip to the tiny religious town of Lourdes, France, was fine by me. 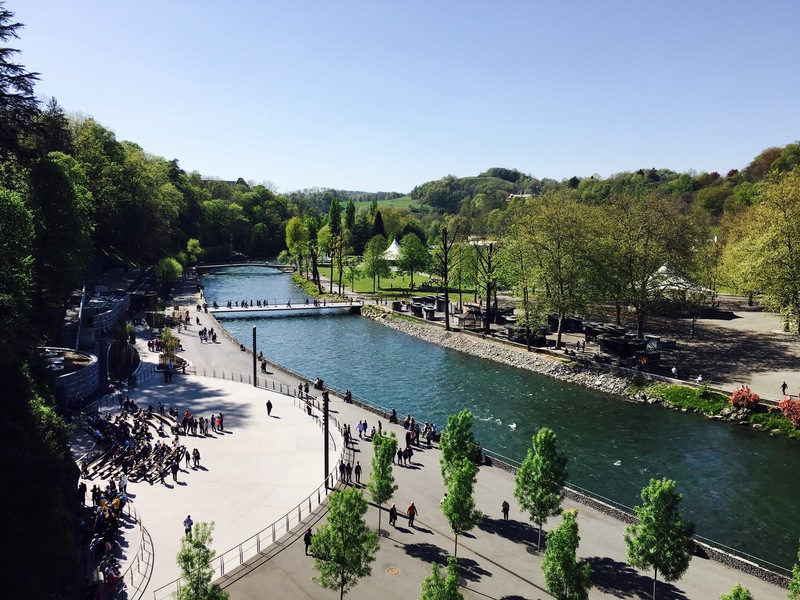 Lourdes is pilgrimage site, visited annually by millions of Catholics for the Sanctuaires Notre-Dame de Lourdes. My Hindu religion friends Nirmal Kapadia and Kumar Sambhaw Sultania also had no issues of visiting a Catholic site or its main structure. 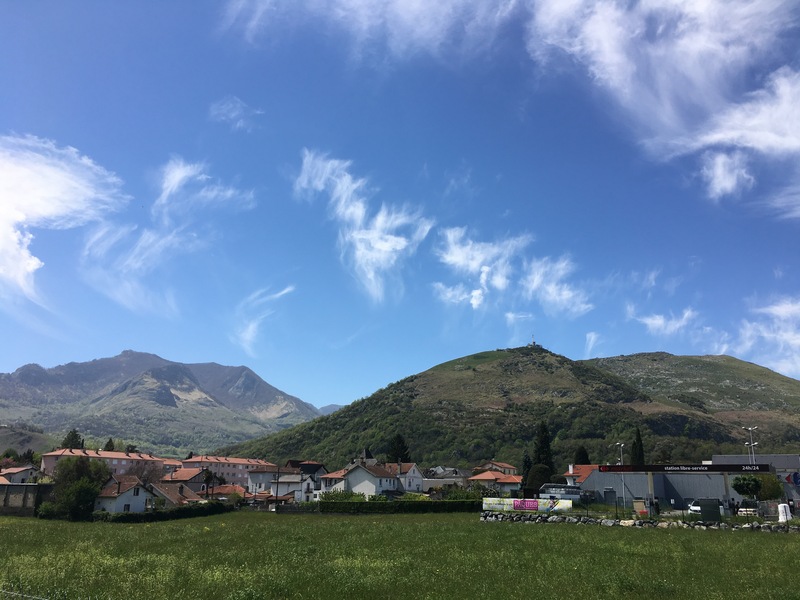 Having covered Toulouse, we proceeded in the same South France Midi Pyrenees region, to fill the four days gap between games in our Football Pilgrimage. 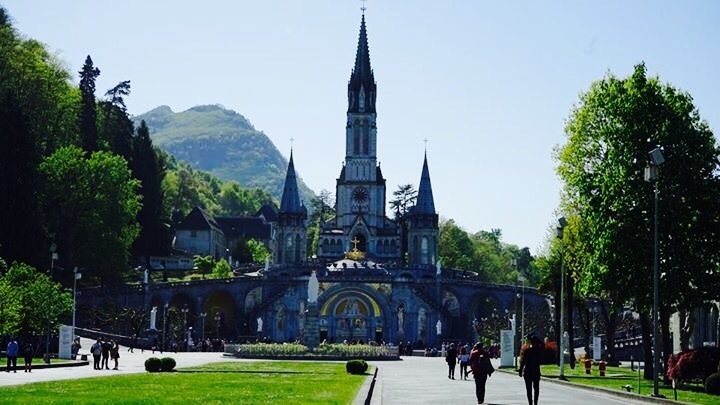 Lourdes features in top seven must-visit places in France and hence formed part of our itinerary. Our itinerary was very simple, and I dare say the perfect one. We reached Lourdes by bus at 11am and left by train around 8pm. That choice of transport ensured the experience of a bus journey as well as that of a train journey. 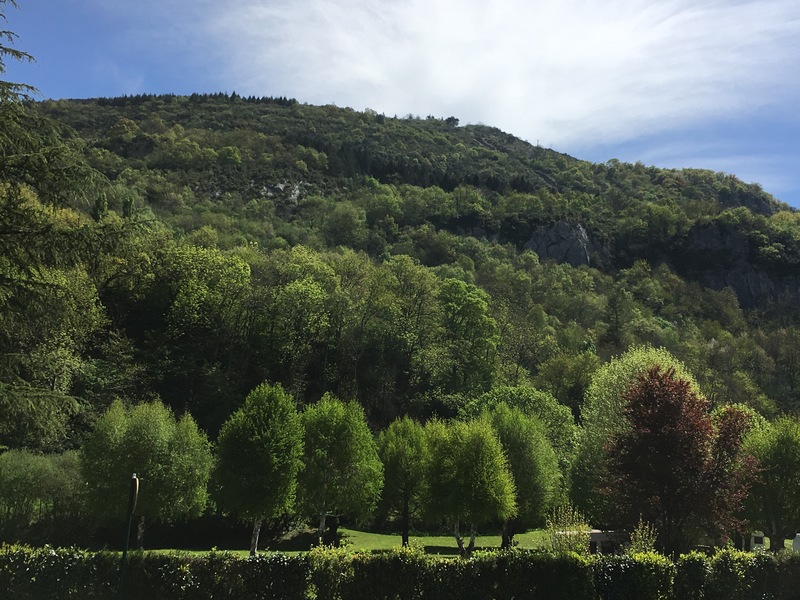 The nine hours at Lourdes were adequate for a tiny fort visit, a hill climb (via a funicular), light shopping, Indian lunch, gelato ice cream, Gav de Pau river banks visit, the sanctuary and Basilica visit, drinking holy water and lying over the lush green fields. 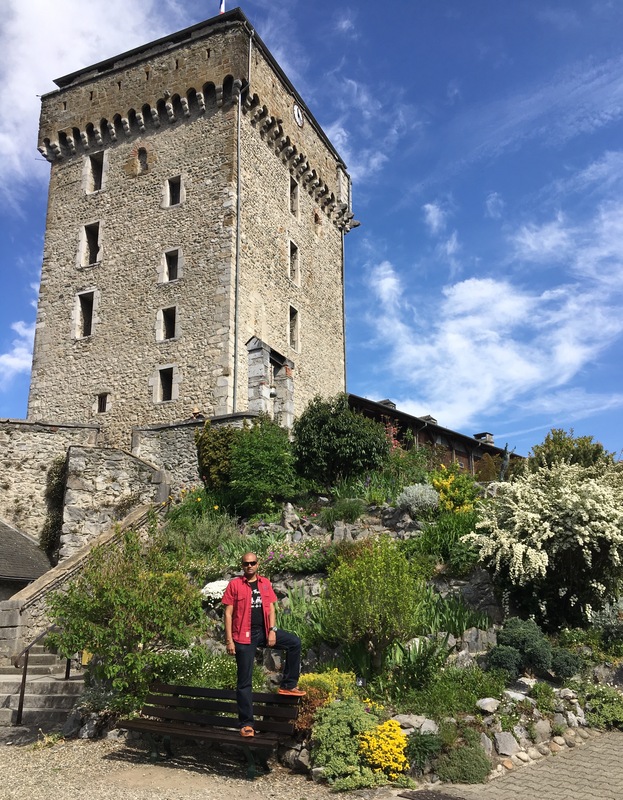 Our first stop was walking down from the Bus/Railway station to Castle Fort Pyrenean Museum. The views of the city, the river, the Basilica are astounding from there. This is a place worth spending an hour. 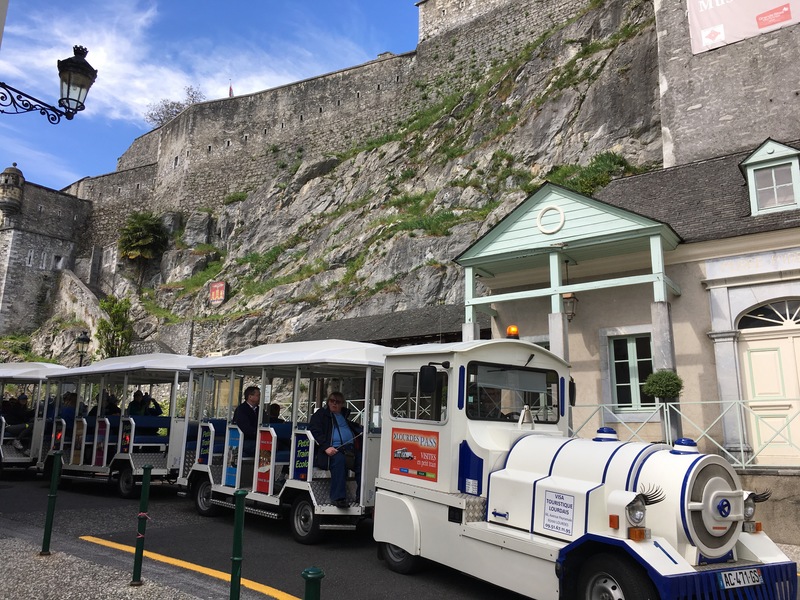 Buy the combo ticket (16€) which includes the Funicular ride as well as the Castle Fort Pyrenean Museum entrance tickets. 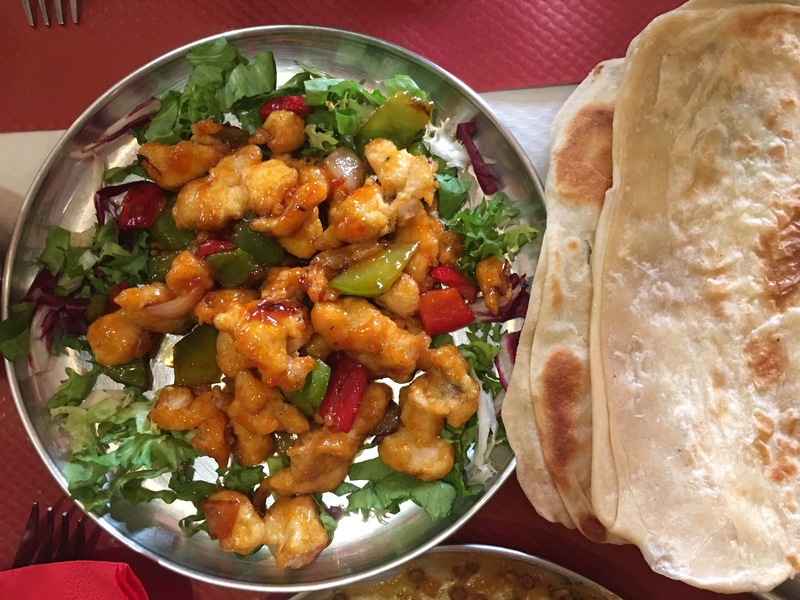 After the castle visit, we headed for homemade Indian food at France! At around 6€ per person costs – thanks to the pre-trip research! The restaurant opens at 12pm and bang in front of the Castle Fort Pyrenean Museum. Silat perfectly. 3. Funicular du Pic du Jer. After lunch, we walked to the town square, brought few titbits and continued 1.5 km walk to the Funicular du Pic du Jer. We already had the ticket – purchased at the castle. 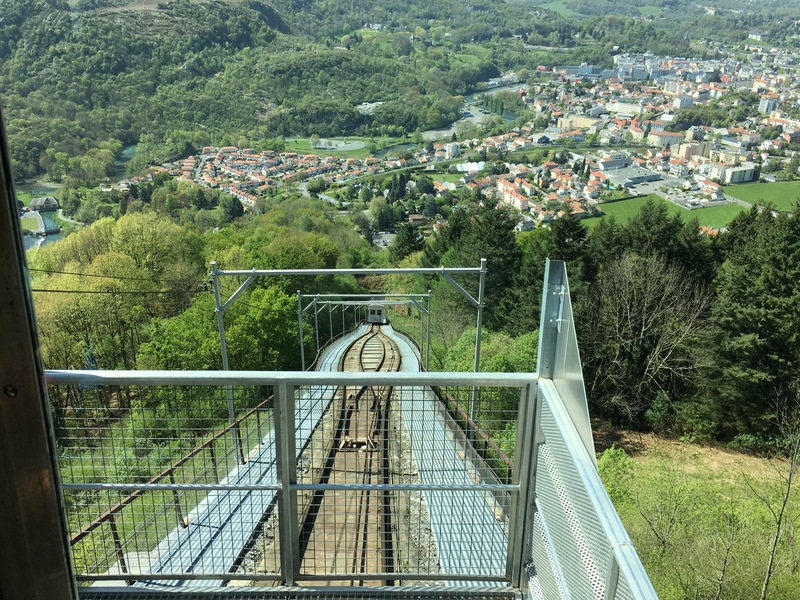 The funicular runs every 30 mins and is a steep, fun climb. 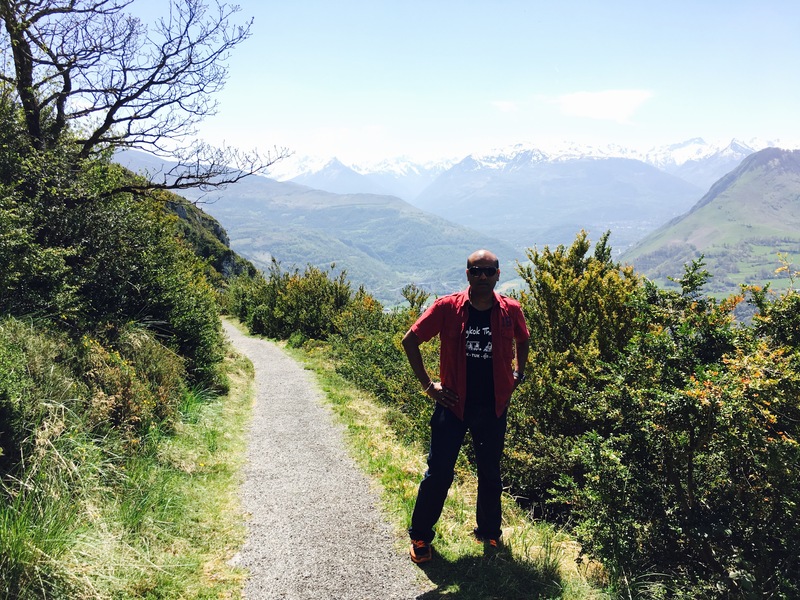 It takes you straight to 3120 ft above sea level and right atop the Hautes-Pyrenees mountain. 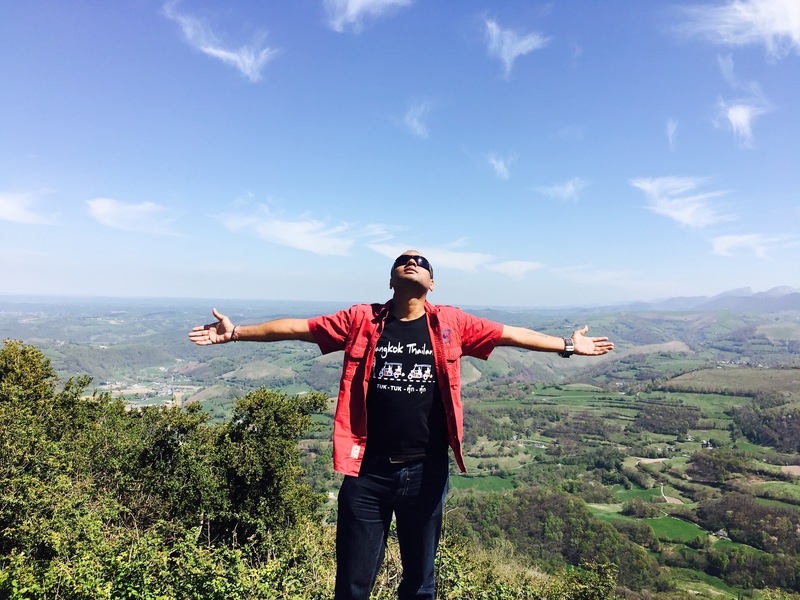 From there you get a breathtaking view of the mountain ranges, snow-capped mountains and Lourdes from vulture flight view. 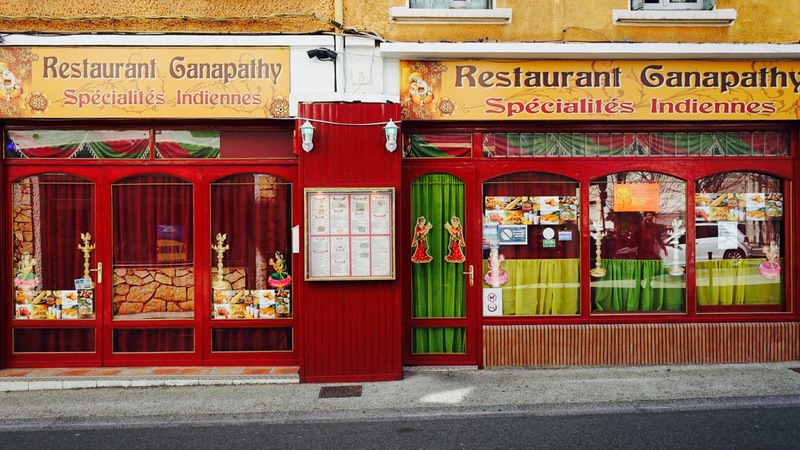 This is a must visit place and easily the highlight of our short French trip. 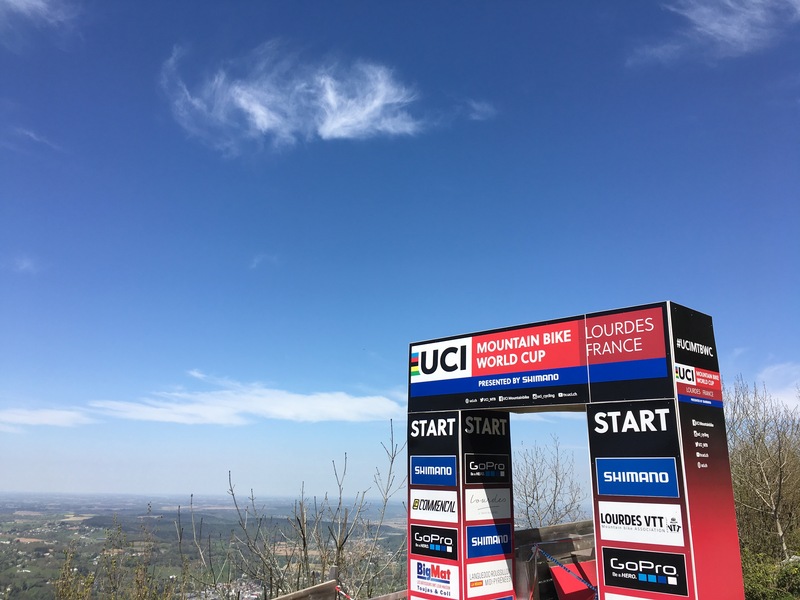 At the time we visited, preparations were on for the world mountain bike championship to be held at Lourdes. We spent close to three hours here, including a mini hike from the funicular station to the peak, and back. Most of the times, we sat, gazed and soaked in the pure air. From the funicular, we walked back around 2-2.5 km in the pleasant chill weather, browsed the shops in the town, had a gelato ice cream and then walked by the river. 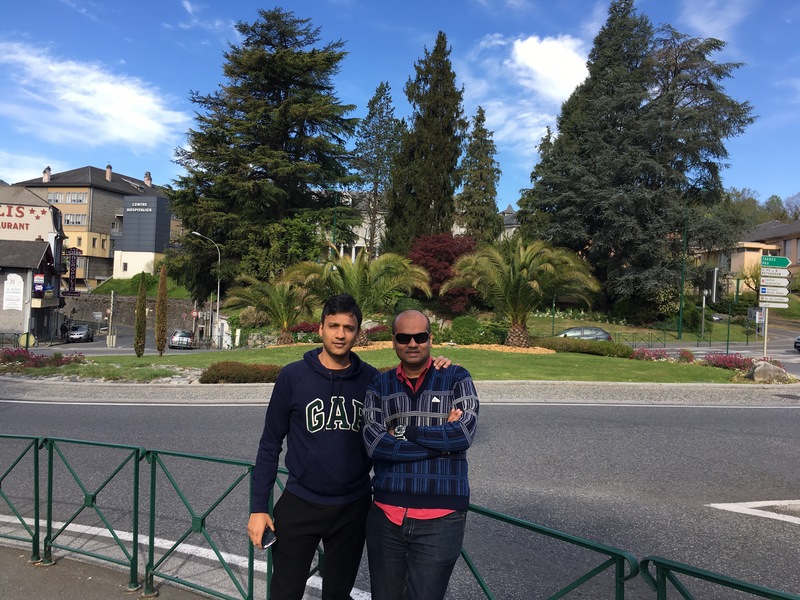 This is the most prominent tourist and pilgrimage point of Lourdes. This place is also 750m away from the bus stop! Which means we were back in walking distance range to return. We entered the Basilica, clicked photographs, lazed around the lush green fields (picnic spot) next to the sanctuary, drank the holy water and proceeded to the station. What was our nett spend per head for the day? 16€ combo ticket + 7€ lunch + 2€ icecream and some goodies shopping. 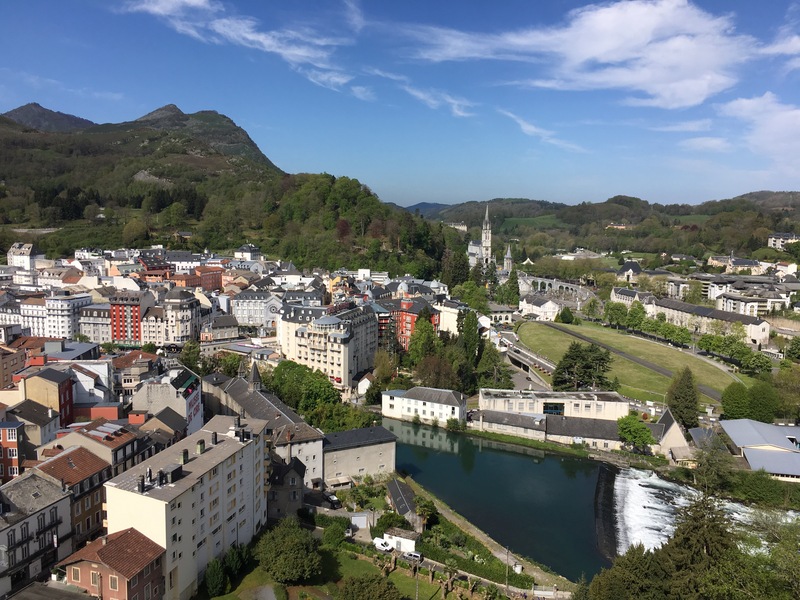 Essentially, having a 50€ bill in your pocket is more than enough to cover Lourdes, in a day. Was it worth the visit? I will let the pictures do the talking!